I have recently completed my Suite for Prepared Piano, which I’d started during a weekend in composing isolation at The Tractor Shed before Christmas. The preparation for these pieces is fairly light — brass bolts are inserted between 14 strings, creating bell-like tones; blue tack is laid on several others, giving a plucked, stopped sound; most other notes sound as normal. The nine movements come to around 15 minutes, each one lasting between 45 seconds and several minutes. I was lucky enough to have the wonderful pianist Kamilla Arku record the suite on a lovely Bluthner at Alice’s Loft studio. Engineering at this beautiful space were owner Denise Mangiardi, engineer Joe Wensley and assistant Antonio, who not only did a fantastic job but made the whole experience relaxed and enjoyable. 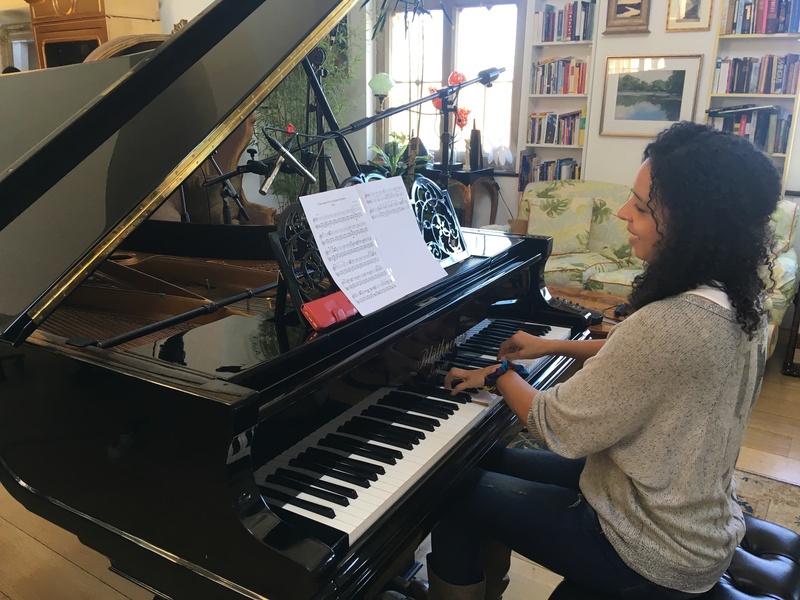 Kamilla will be performing this Suite next February in a concert series in London, so watch this space….